Paul D. Ericksen retired from John Deere after 30 years. Notably, he founded Deere’s Supplier Development function — a process later adopted across the entire enterprise. Paul is considered the architect of Deere’s Commercial & Consumer Equipment Division’s Supply Chain Flexibility Initiative. His direction resulted in Deere’s success merchandising lawn mowing equipment through mass merchandiser channels, including Home Depot and Lowes. After leaving Deere, Ericksen served as Chief Procurement Officer of an S & P 500 Corporation. From 2009 to 2011, Ericksen managed a Department of Defense Supply Chain Flexibility Initiative with eight DOD Prime Contractors and 195 of their Tier 1 Suppliers. In 2014, Ericksen’s collaboration with the Washington Office of MEP won a state grant to pilot the Next Generation Lean Supply Chain Initiative, laying groundwork for it’s ongoing state funding. Ericksen has widely consulted with manufacturers to improve manufacturing effectiveness, including two Fortune 100 companies. His work with Boeing directly resulted in the company's primary presenting position at a July, 2014 White House Supply Chain Conference. Ericksen was Chairman of the Board and Director at the Wisconsin Center for Manufacturing and Productivity, which oversees the Wisconsin MEP(WMEP). Paul is a former member of Wisconsin’s Small Business Development Board and of UW-Madison's Center for Quick Response Manufacturing Industrial Advisory Board. 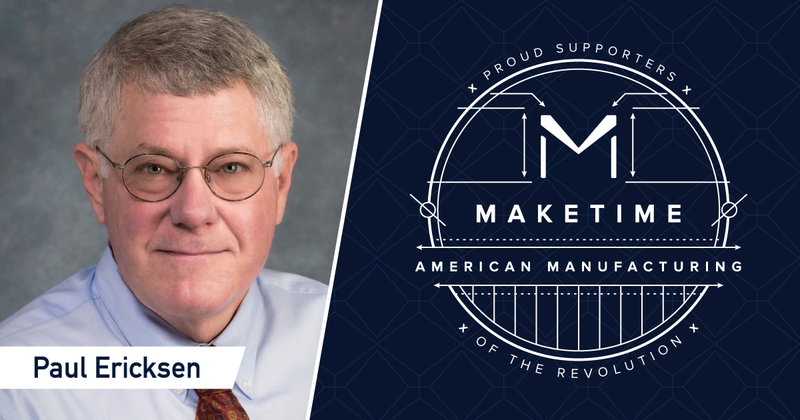 He is founder and former Chairman of the Wisconsin Manufacturer’s Development Consortium, as well as an OEM Supplier Development Consortium that aided launch of a nationally recognized 3rd party Supplier Development Initiative. Wisconsin Governor Tommy G. Thompson recognized Ericksen in May, 2000 for his work in OEM-Leveraged Economic Development. That May, Ericksen also received the Modernization Forum’s Champion Stakeholder Award. Ericksen is a well-known advocate, writer and speaker on OEM Leveraged Economic Development and extended enterprise Supply Management; his engagements have included AEM, AME, SME, the MIT Forum for Supply Chain Innovation and Wisconsin’s Economic Summit III. Eriksen has published articles in APICS Magazine, Purchasing Today and Target. 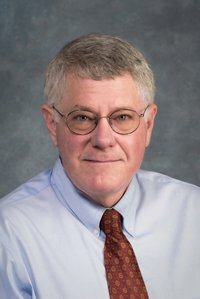 Articles related to his work have appeared in the Institute of Industrial Engineer (IIE) Solutions Magazine, Industry Week, Managing Automation and many others.